Filters for mounting in-line. Flow rates to 300 l/min. Working pressure 35 bar. The MSH series is a high pressure spin on filter typically installed in-line. Compact design and quality construction makes this range of Spin on filters suitable for mobile, industrial and agricultural equipment. The MSH high pressure spin on series are ideal for use in servo-assisted hydrostatic transmissions where the servo line requires high performance filtration at medium working pressures. 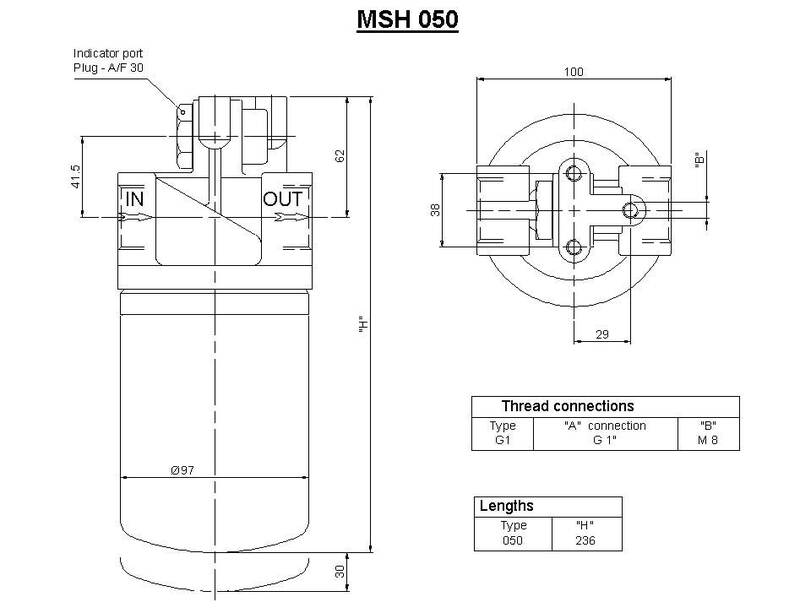 Technically the MSH is a new concept as the filter canister is seamless. The unique sealing system ensures that the filter will withstand medium pressures up to 50 bar. MSH series filters are constructed of Aluminium body, Nylon bypass valve and Brass indicators. The MSH series filters utilize the high efficiency “CH” type Spin on cans. Element media of resin impregnated paper or absolute rated microfbre cans with beta ratio of b © > 200. The MSH series filter utilizes the MP filtri range of differential indicators, available as Visual, Electrical or Visual/Electrical. The MSH series is particularly suitable for use on supercharging or auxiliary low pressure lines. MSH050BAG1T2 44 – 120 2.5 bar A = Buna G1 = 1″ BSP 3/4″ BSP T = plug std. 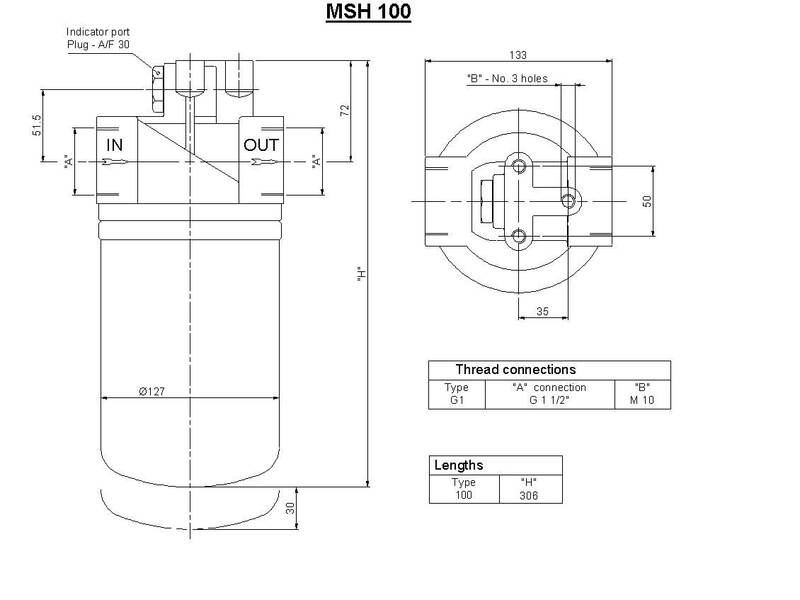 MSH100BAG1T2 110 – 250 2.5 bar A = Buna G1 = 1-1/2″ BSP 3/4″ BSP T = plug std. string(79) "Filters for mounting in-line. Flow rates to 300 l/min. Working pressure 35 bar."